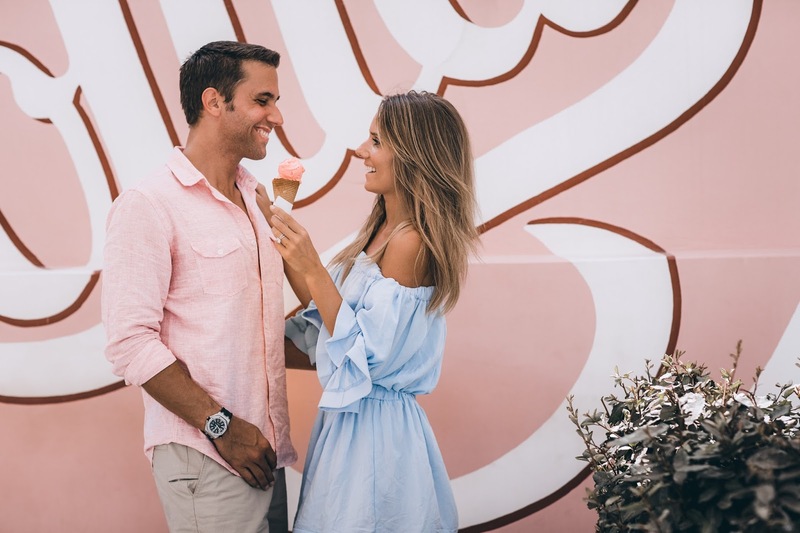 A blog and The Life In Between : Engagement Photo Shoot. While we were in Santorini planning the wedding we also met with an amazing photographer to shoot our engagement pictures. Sharing a few of my favorites on here today! Because my better half is not too crazy about social media we have decided to only give a sneak peak from the photo shoot and keep the rest of the images for the album. 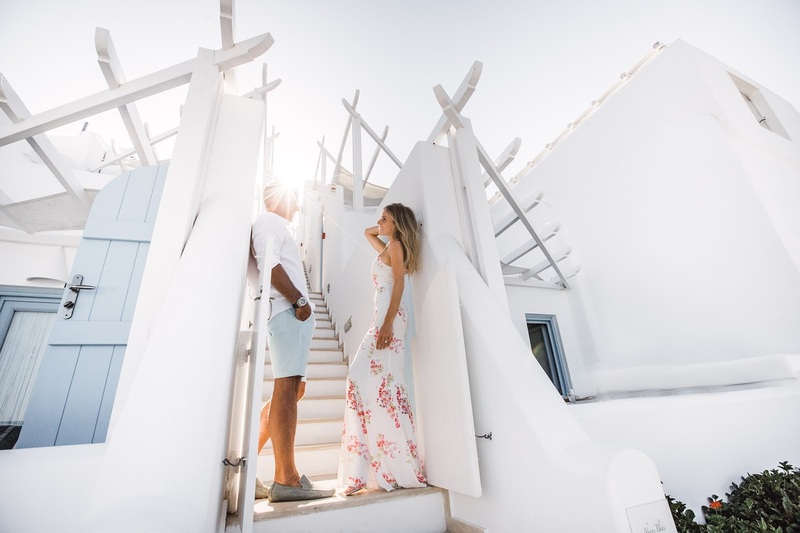 This photo shoot was also our first one together hehe, you can only imagine how nervous we both were as we had to climb rooftops of Greek villas with just a step away from a cliff and yet still focus on the camera to catch the beautiful scenery. maxi by Jarlo London, buy on here. mini by Runway Scout, buy on here. Hope you enjoy there and it inspires you for any photo shoot you may have with your man!